With Reid Out, Republicans See An Opportunity : It's All Politics Democrats argue the top Senate leader's retirement might be a good thing. But it's going to set off a scramble to replace him in one of the most hotly contested races in 2016. 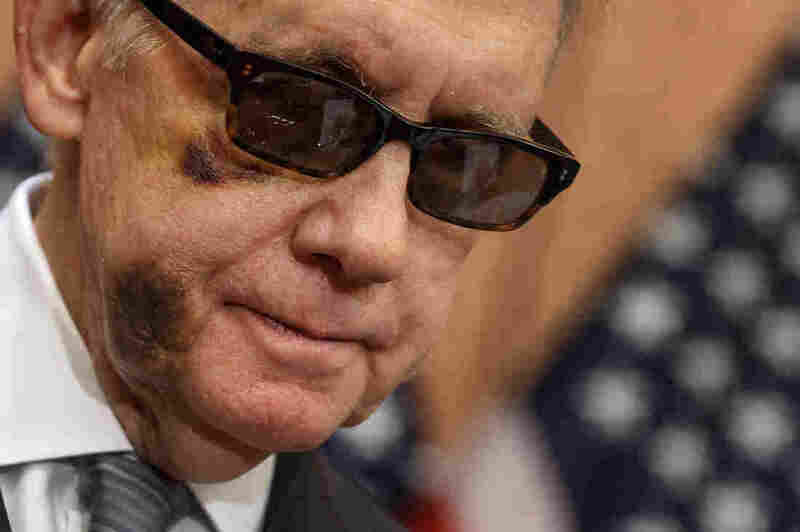 Senate Minority Leader Harry Reid, wearing sunglasses to protect an injured eye. His announced retirement should set off a scramble to replace him. Harry Reid, the wily Democratic Senate leader, was likely — once again — to be one of the most vulnerable incumbents up for re-election in 2016. Few, though, would have bet the house against Reid — a sharp-elbowed campaigner — especially in a presidential year when demography will favor Democrats in a state where almost 3 in 10 people are Hispanic. "Do you really want to go up against Harry Reid?" said one national GOP operative, pointing out Reid's bare-knuckles style of campaigning. But with Reid announcing Friday he will not run for re-election, it's a different story. "Do you really want to go up against Harry Reid?" "It's a totally different race with him out," the operative said, noting that with Reid in a race "anything and everything is on the table" — from land deals to pensions to personal finances. Look at what he was able to pull off in 2010. In that Tea Party-wave year, in a midterm, when Democrats lost 63 House seats and six Senate seats, Reid defied gravity and won over Sharron Angle 50 percent to 45 percent. Angle was, in many ways, her own worst enemy, committing a series of unforced errors. But even when Reid trailed in the polls, he turned up the heat. And that can have a chilling effect on recruitment. Republicans have been trying to persuade Nevada Gov. 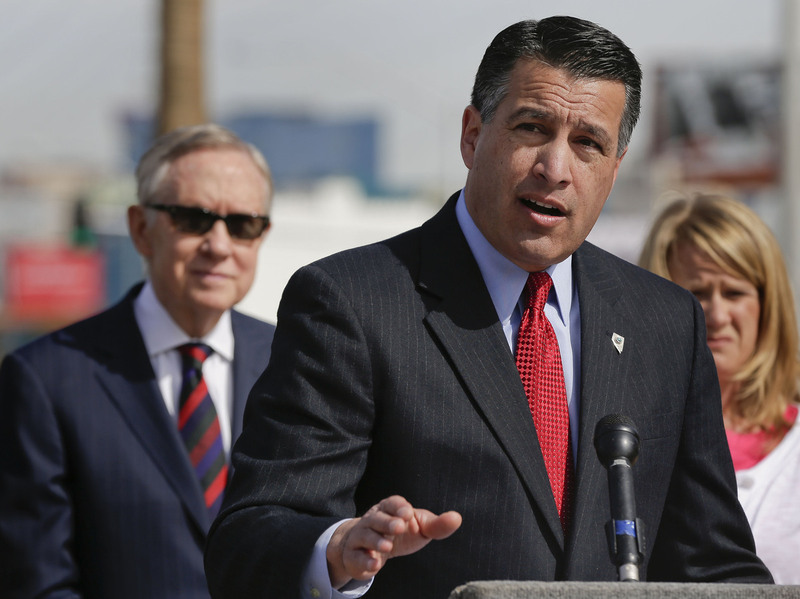 Brian Sandoval to jump into the Senate race in 2016. Will he do it now that Reid has stepped aside? It's still early in the 2016 cycle, but no obvious serious Republican challenger had emerged yet to take on Reid. While Republicans would love for Gov. Brian Sandoval to jump in, he has so far shown no interest in running. That could change, though, with Reid out of the way and this now being an open seat. Republicans aren't counting on it. They feel they have a strong bench of potential other candidates. In fact, every statewide elected official in Nevada is a Republican — from governor on down to controller. Two possibilities if Sandoval can't be swayed are Lt. Gov. Mark Hutchinson and Rep. Joe Heck. "With him out, there's no reason not to run," the operative said. "It's different now." Democrats, however, argue they could be in a stronger position with Reid off the playing field — despite the thin, or nonexistent, statewide candidate bench. They say the race wouldn't cost them as much money, and Reid would be a stronger force behind the scenes with his Nevada machine for another candidate, who wouldn't start off with negative ratings that are so high. 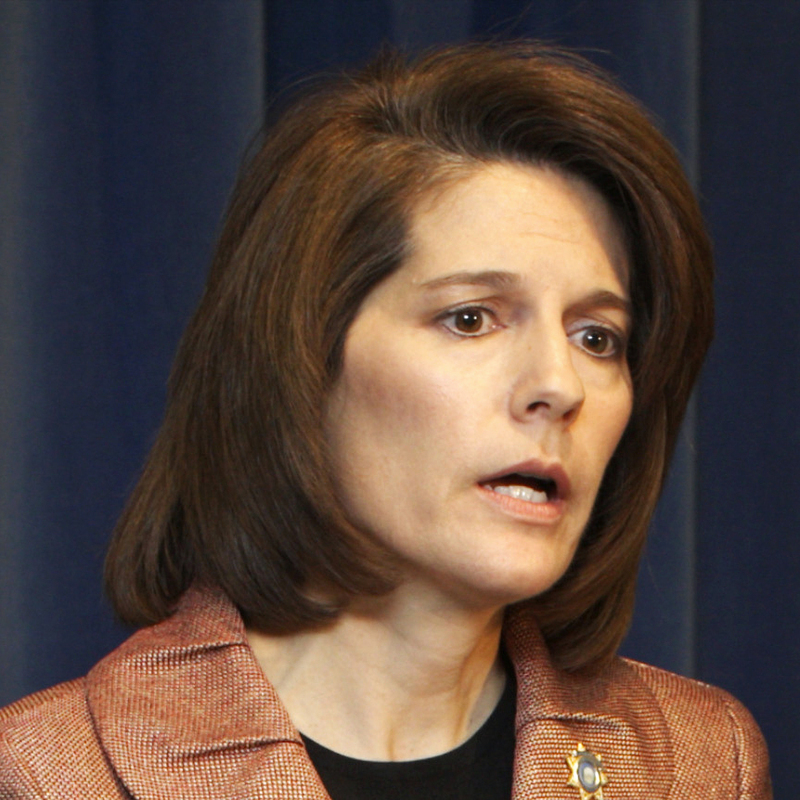 Former Nevada Attorney General Catherine Cortez Masto is Reid's choice to replace him in the Senate. Reid on Friday endorsed former state Attorney General Catherine Cortez Masto in characteristically blunt language. "Brian Sandoval has done a very fine job as governor. I don't have anything negative to say about him," Reid told KNPR. But "whoever runs against Catherine, I think, will be a loser." Polls in 2012, though, showed Sandoval holding big leads in hypothetical matchups with Cortez Masto and former Secretary of State Ross Miller. "Don't give me any talk of polls," Reid said on KNPR, "because I don't believe in them."